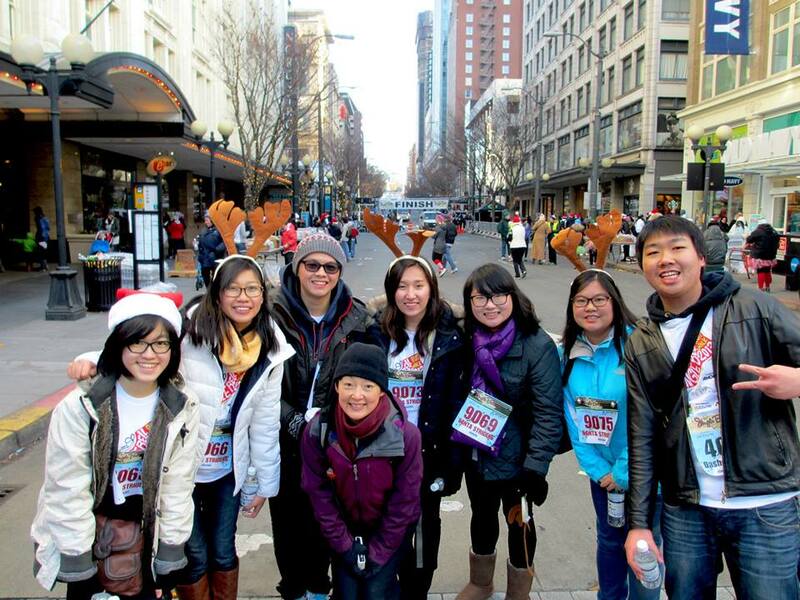 The IPM (International Student Mentors) organized a Shoreline Community College team for the 2013 Jingle Bell Run/Walk, a fundraiser for Arthritis. The 23 member Shoreline Community College team ran/walked 5K (3 mile) with 1,022 people on the morning of December 8th in downtown Seattle. Both Shoreline Community College students and staff members had a great time staying warm and taking part in this community event. This is an annual tradition for the IPMs, so we look forward to walking with you at the next Jingle Bell Run/Walk.